It is a gold tone internal Hex Head Pipe Plug that is for closing and terminating the end of a pipe. 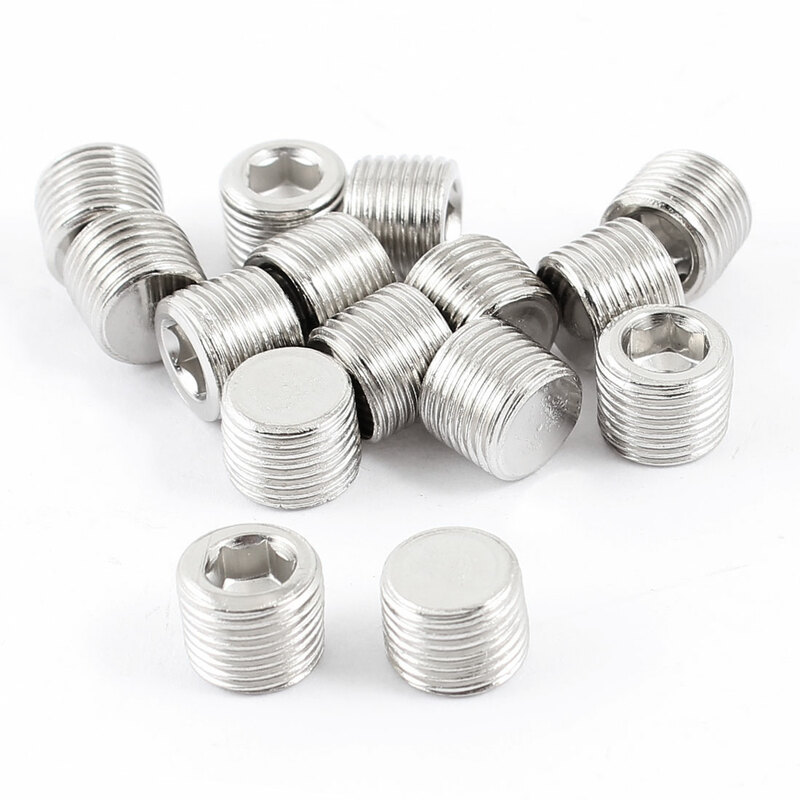 Its thread diameter is 1/8 PT, made of Chrome Plated brass material. Great for blocking off intake manifold water ports, water pump ports, water temp and oil sender holes, engine block holes, etc. Height : 7.5mm/ 0.3";Hex Side to Side Diatance : 5.5mm/ 0.22"